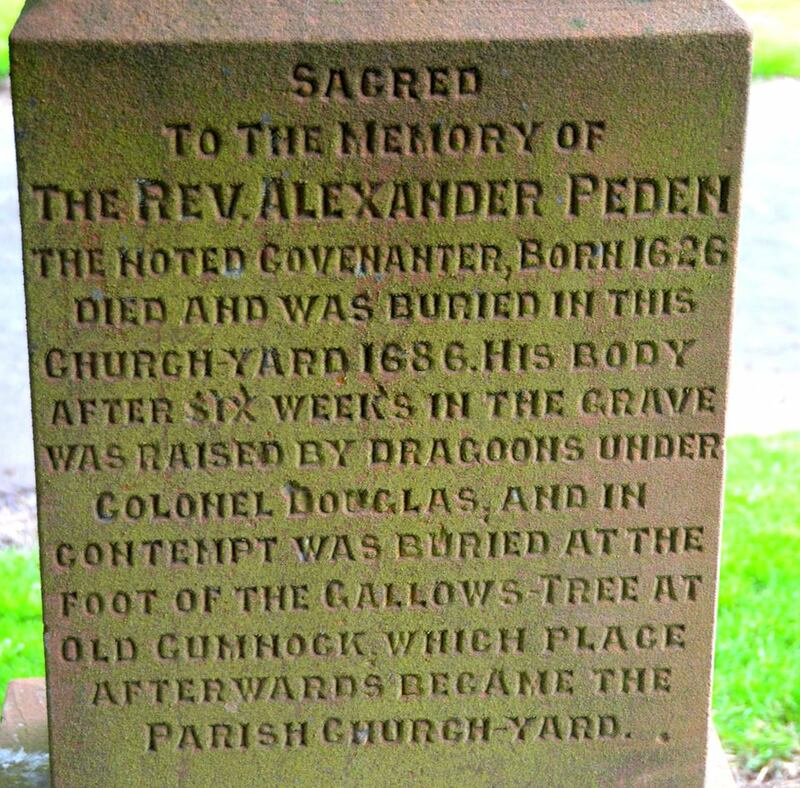 The Covenanter, Alexander Peden, has many caves, stones and trees that tradition associates with him. 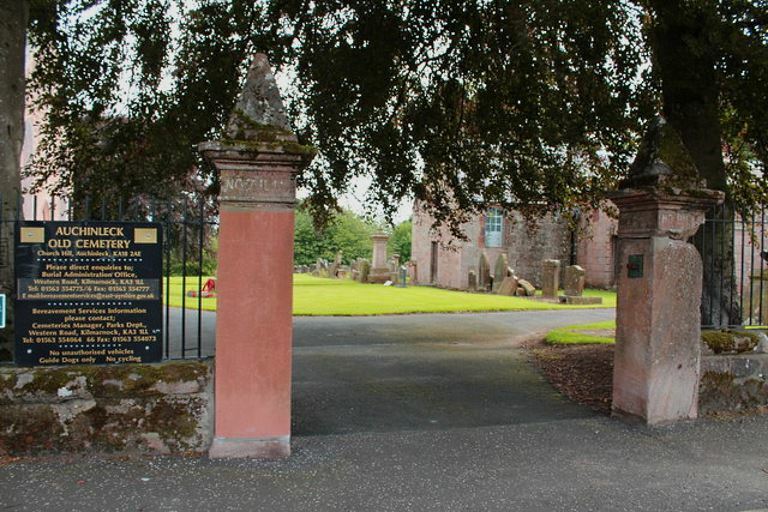 One tree lay in the old parish church graveyard at Auchinleck. Is the replacement for it still there? 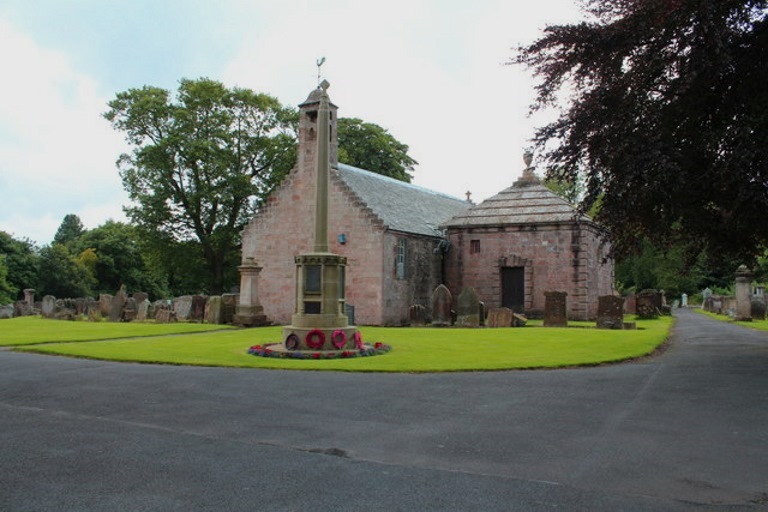 Old Kirk (Left), Boswell Mausoleum (Right) © Billy McCrorie and licensed for reuse. Which tree is the replacement for Peden’s Tree, or if the replacement tree still stands well over 130 years later, is not clear. If anyone knows which one it is, please get in touch. Monument in churchyard © Copyright Robert Guthrie and reproduced by his very kind permission. ~ by drmarkjardine on November 11, 2015.